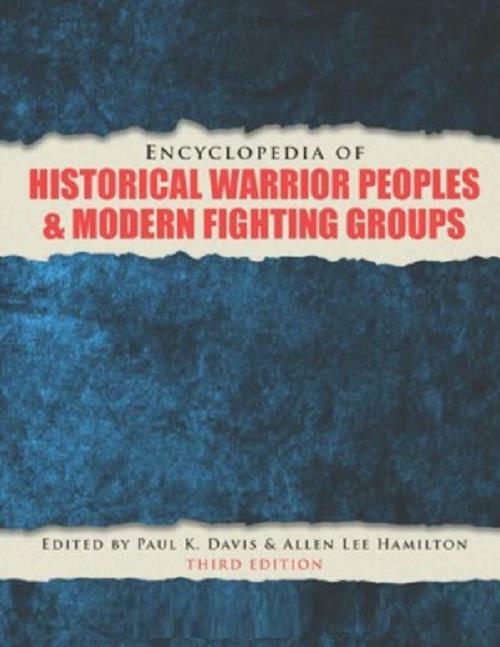 From ferocious tribes to charismatic leaders and daring militias, this new edition of "The Encyclopedia of Hidtorical Warrior Peoples & Fighting Groups" explores the origins and leadership of these powerful combat forces, chronicles their conquests and accomplishments, examines the circumstances surrounding their decline or disbanding, and assesses their influence on the groups and methods of warfare that followed. - New third edition, revised and expanded with new articles on terrorist and fighting groups of the 21st century, including ISIS, al-Qaeda, the Taliban, Lashkar-e-Toiba, Tehrik I Taliban, Hezbollah, FARC, Hamas, and Boko Haram, to name a few. - Clearly written entries in an easy-to-use A-Z arrangement. - Illustrations and cross-references enhance entries. - An expanded Historical Timeline of entries allows the reader to see how groups connect with one another. - Suggested Readings & Primary Documents offer sources for additional research. - Full color maps, arranged by time period, allows the reader a visual connection to the groups. - Comprehensive Bibliography & Subject Index. - Available in print and ebook formats.